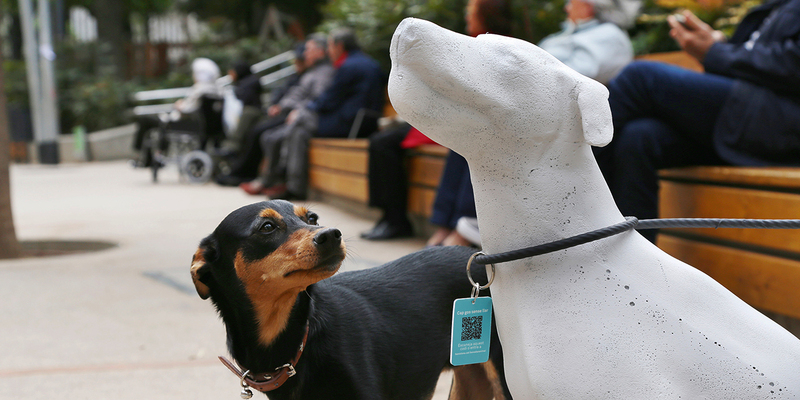 The dog statues featured collar tags with QR tags, letting viewers learn more about the campaign. "Installing the dogs attached to lampposts, as if they were really abandoned, helps people visualize the situation. People don’t only see a dog, they see the problem."